Some of the damage that State Police said was done by a vandal to the Vietnam Veterans Memorial in Dorchester . 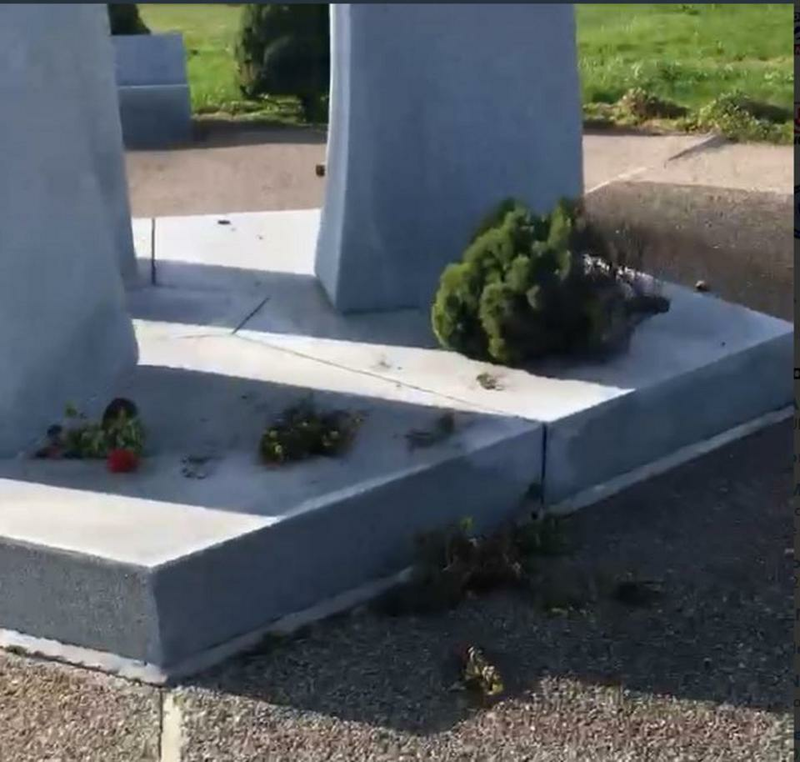 The Vietnam Veterans Memorial in Dorchester was vandalized sometime this week, and State Police are now searching for those responsible for the act that left the stone memorial damaged and an American flag cut in half. Bricks were thrown at the memorial, leaving marks on the stone, an American flag was cut up, and a Massachusetts flag was taken off its pole and found near trees with trash littered on top of it, State Police said Friday in a statement. A POW/MIA flag was also missing from the memorial, and vegetation in the area was uprooted, State Police Lieutenant Tom Ryan said. Ryan said police are not positive when the vandalism occurred, but it was done before 3 p.m. Thursday. The investigation is ongoing, and State Police ask anyone with information about the incident to call them at 617-740-7710.